When using the safe area mode in the Camera or Stage view, this option allows you to define the colour used for the Action Safe Area mask and its opacity. When using the safe area mode in the Camera or Stage view, this value corresponds to the percentage of the screen defined as Title Safe Area. 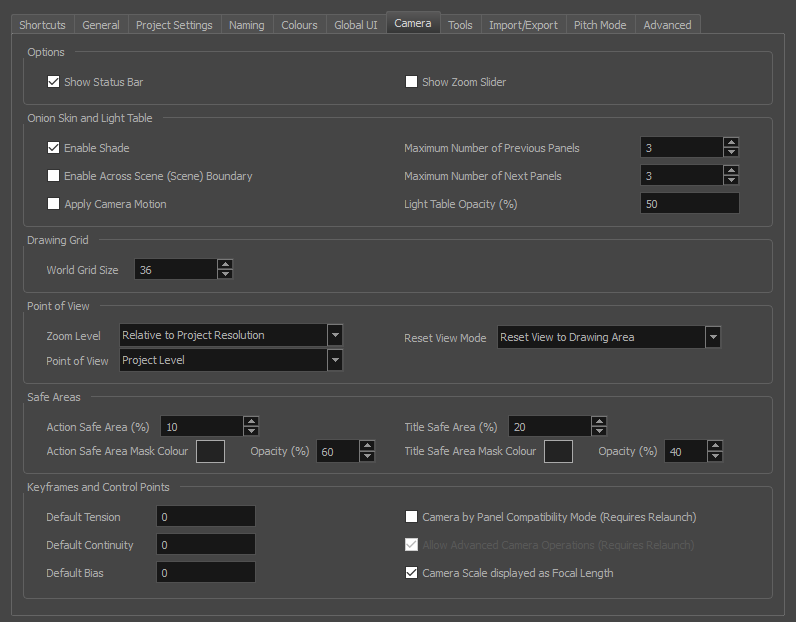 When using the safe area mode in the Camera or Stage view, this option allows you to define the colour used for the Title Safe Area mask and its opacity.